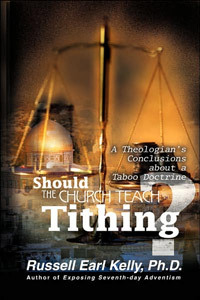 Tithing Sermons – Should or Shouldn’t? Why you should: Your Church is broke. I understand that the utilities, rent, and honorable salaries need to be paid. But we need to learn to cut expenses. The “American Greed Dream” can’t creep into homes without it creeping into the Church. A little perspective goes a long way. Look at how others poorer than you live their lives and try to imagine your attitude under their circumstances. Determine your wants vs. needs. A majority of Church buildings are largely under-utilized so let’s get smart about what were spending our money on. Why you shouldn’t: Can i remind you that were in a recession? I’m not saying that great sacrifices can’t be done during hard times, but let’s not forget that a recession means 10% unemployment, higher taxes, forecloses, and salary cuts. Let’s not forget that your biggest need might be to expand your walls, but, someone’s biggest need this week may be what they are going to give their kids for dinner. Once again, a little perspective. Why you shouldn’t: Bongo’s are soooo much cheaper! This may be just my pet peeve, but I’m kind of getting tired of seeing 5 guitar players and a drummer on stage. Can’t anyone play anything else? I’ve said it once, I’ve said it twice. . . Shoot! . . . I don’t know how many times I’ve said it, but tithing is an Old Testament law. 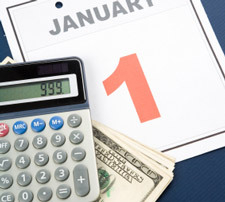 Why you shouldn’t: Why spend time talking about 10% of our money? Am i missing something here, or is there a reason why churches are concerned about the 10% that they get from you and spend very little time advising you on the other 90% that they aren’t getting from you? I’m wondering if they take the time to advise you on the 90, I’m sure there would be less problems collecting the 10. Like i said above it’s hard for greed to slip into the home without it slipping into the Church. The apple does not fall far from the tree. ‹ Did Jesus Fulfill the Law? All great points! And, the way most churches handle their own finances, we wouldn’t want to take their advice on how to handle ours. You may be interested in clicking on our website link taking you directly to our article titled The Love of Other People’s Money (Covetousness) Is the Root of All Evil. It is obvious that you have problems with the “tithe” which was practiced by those who trusted God way before the “law” was given because you have serious problems with the concept of Stewardship. I’m always amazed that those who struggle with Stewardship (The Biblical and New Testament teaching that God is “owner” and we are His Stewards) are the same people who struggle with the “Lordship” of Christ over their life. They want to say that Jesus is “Lord” (which means Owner and Master) yet He is only Lord over their “heart” not their “treasure”. (Might need to see Mat 6:19-21) The “tithe” is not a “goal” of giving it is “training wheels” for New Christians. Anyone who feels 10% is a big sacrifice (regardless of what income you have) is still in the elementary stages of giving. The same people who say God does not want 10% He wants all as an excuse to not tithe never do it so they can give more than 10% but so they can give less. I detect that you are bitter against your local church. Most likely you are one of those who don’t believe in the local church because everything you post above stereotypes every local assembly of worship as vain, money grabbing, dictator lead clubs. Very sad indeed. If you don’t trust your local church, please find one you can trust, if you can’t the problem is not the churches, it’s you. If you don’t trust your pastor find another one to submit to and learn from, if you can’t the problem is not the pastors, it’s you my friend. All the points above are “great” points and amunition for those who call their money “mine” instead of “God’s”. The tithe is still Holy unto the Lord, it is still a way we acknowlege His ownership over all we have, it is a spiritual principal with far reaching blessings when done faithfully. Sorry you don’t see it’s value and so sorry that you are embittered against church. I have been tithing since the day I gave my life to Christ (24 years ago) and have witnessed the blessings of that obedience over and over. Will be praying for you. Tithing, circumcision, the Sabbath, clean animals, and sacrifices were all practiced by those who trusted God before the “law”. I have two reasons why people only defend one of those pre-law commands – One, lack of biblical education, and Two, lack of faith and trust that God provides for his Spirit led church without the enforcement of a legalistic benchmark. It is sad you spent so much time attacking my character as if I actually use my feelings to support my stand for sacrificial, spirit-led giving. In the many discussions that i participate in, i find that those who have no biblical education often spend their time attacking the character of the person they disagree with. That’s because it’s easier to attack my humanity than it is to attack my scriptural viewpoint. Attacking me is easy, and it just shows how lazy you are. It seems that you need a little education yourself. Study the scriptures found in these posts below. I think the problem in the tithing issues stems from the lack of understanding of dispensational truth and how God deals with men in different dispensations. I recommend a great book by Lewis Sperry Chafer called Grace: An exposition of God’s Marvelous Gift. You can read it online.